They fought together for independence on two continents. Giuseppe Garibaldi has been dubbed the "Hero of the Two Worlds" in tribute to his military expeditions in both South America and Europe. He was instrumental in the independence and unification of Italy, and is considered an Italian national hero. Anita, his Brazilian born wife, fought at his side, and their partnership epitomized the spirit of the 19th century's age of romanticism and revolutionary liberalism. 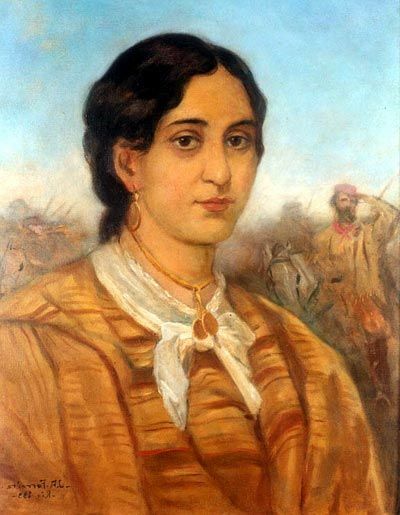 Anita, (1821– 1849) was born Ana Maria de Jesus Ribeiro, into a poor family of Azorean Portuguese descent, herdsmen and fishermen in Laguna in the southern Brazilian province of Santa Catarina, a year prior to that country's independence from Portugal. In 1835, at the young age of fifteen years, Anita was forced to marry Manuel Duarte Aguiar, who appears to have abandoned her sometime thereafter. 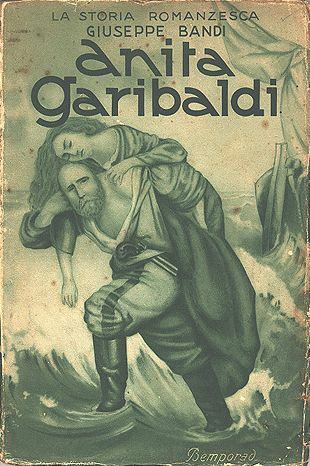 Giuseppe Garibaldi, (1807 – 1882) a Ligurian sailor turned Italian nationalist revolutionary, had fled Europe in 1836 and was fighting on behalf of a separatist republic in southern Brazil (the War of the Farrapos). When young Garibaldi first saw Anita, who was to be the love of his life, he could only whisper to her, "You must be mine." 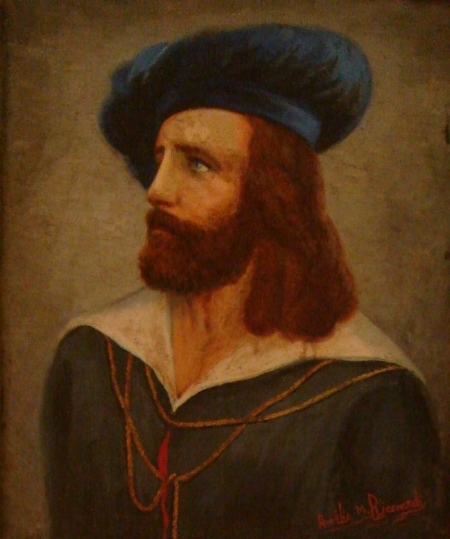 She joined Garibaldi on his ship, the Rio Pardo, in October of 1839. A month later, she received her baptism of fire in the battles of Imbituba and Laguna, fighting at the side of her lover. A skilled horsewoman, Anita is said to have taught Giuseppe about the gaucho culture of the plains of southern Brazil, Uruguay, and northern Argentina. 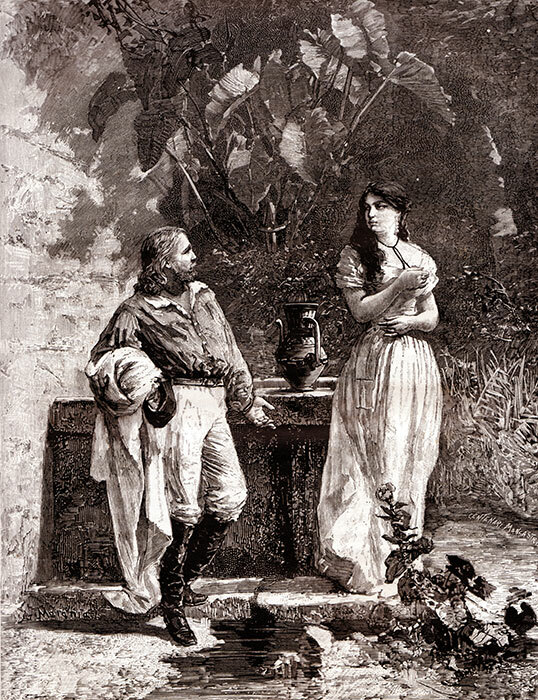 One of Garibaldi's comrades described Anita as "an amalgam of two elemental forces…the strength and courage of a man and the charm and tenderness of a woman, manifested by the daring and vigor with which she had brandished her sword and the beautiful oval of her face that trimmed the softness of her extraordinary eyes." In 1841, the couple moved to the Uruguayan capital of Montevideo, where Giuseppe Garibaldi worked as a trader and schoolmaster before taking command of the Uruguayan fleet in 1842 and raising an "Italian Legion" for that country's war against Argentine dictator Juan Manuel de Rosas. Anita participated in Garibaldi's 1847 defense of Montevideo against Argentina and his Uruguayan allied former dictator Manuel Oribe. Anita and Giuseppe were married on March 26, 1842, in Montevideo. They had four children, Menotti, Rosita, Teresita, and Ricciotti. 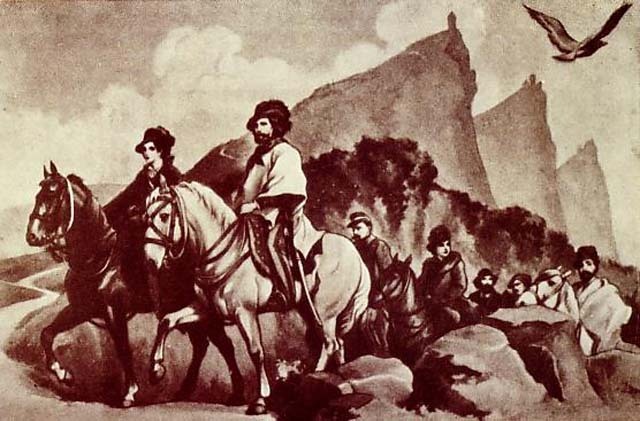 Anita accompanied Garibaldi and his red-shirted legionnaires back to Italy to join in the revolutions of 1848, where he fought against the forces of the Austrian Empire. In February 1849, Garibaldi joined in the defense of the newly-proclaimed Roman Republic against Neopolitan and French intervention aimed at restoration of the Papal State. Anita joined her husband in the defense of Rome, which fell to a French siege on June 30. She then fled from French and Austrian troops with the Garibaldian Legion. 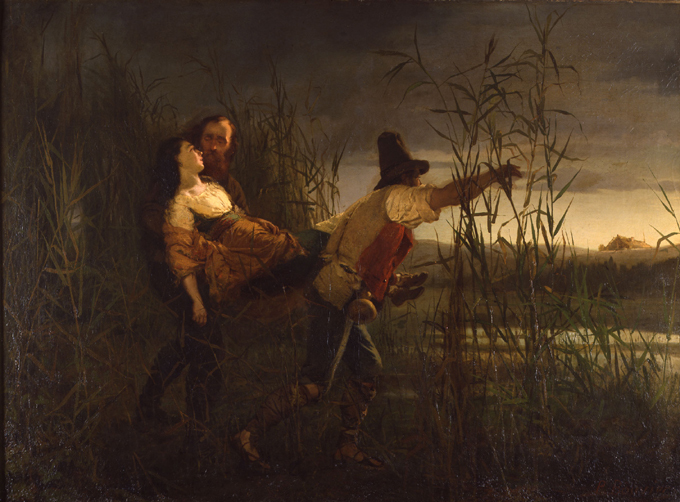 Pregnant and ill, she died on August 4, 1849 in the arms of her husband at Guiccioli Farm in Mandriole, near Ravenna, Italy, during the tragic retreat. Anita remained a presence in Garibaldi's heart for the rest of his life. It was perhaps with her memory in mind that, while traveling in Peru in the early 1850s, he sought out the exiled and destitute Manuela Sáenz, the fabled companion of Simón Bolívar. Years later, in 1860, when Garibaldi rode out to Teano to hail Victor Emanuel II as king of a united Italy, he wore Anita's striped scarf over his gray South American poncho. Learn More: Visit Minha Laguna, our friend Márcio Flávio's wonderful blog about his town, Laguna, Santa Catarina, Brazil - the birthplace of Anita Garibaldi. There is a lot of very interesting historical information about Giuseppe & Anita Garibaldi there. Minha Laguna is in Portuguese, but you can easily translate it into any language. Você lê Português? Visite Minha Laguna, o maravilhoso blog do nosso amigo Márcio Flávio sobre sua cidade, Laguna, Santa Catarina, Brasil, o lugar de nascimento de Anita Garibaldi. Lá estão muitas informações interessantes sobre Giuseppe & Anita Garibaldi.